The Definitive "VVT swap into 90-97 chassis" Megathread. - Page 8 - Miata Turbo Forum - Boost cars, acquire cats. No, 94-97 has the regulator on the top and it wont really bolt correctly to the NB head without slotting the mounting holes. maybe its a jdm nb fuel rail. The one I posted is a 99-00 that I added FPR from a 1.6. I did have to trim down the intake manifold slightly. That's exactly what I was going to say about your pic. Maybe its a jdm nb fuel rail. I was thinking this as well. The "other market" NBs have goofy fuel systems I haven't quite figured out yet. I actually have a NB regulator from an UK NB2 sitting in my garage. Thunderfox: if you can read the part number off the regulator (and it is a regulator) I can try to verify. On top of the regulator, around the pressure reference pipe, it reads 195300-3730 BP58. They are not that goofy, 98-00 have return systems and a rail very similar to the one Thunderfox posted, 01-05 have returnless. The only real difference I can think of is a slight change to the rail for the non-Squaretop-US market on NB2. I have used a EUDM 99 rail with a Squaretop with no problems. 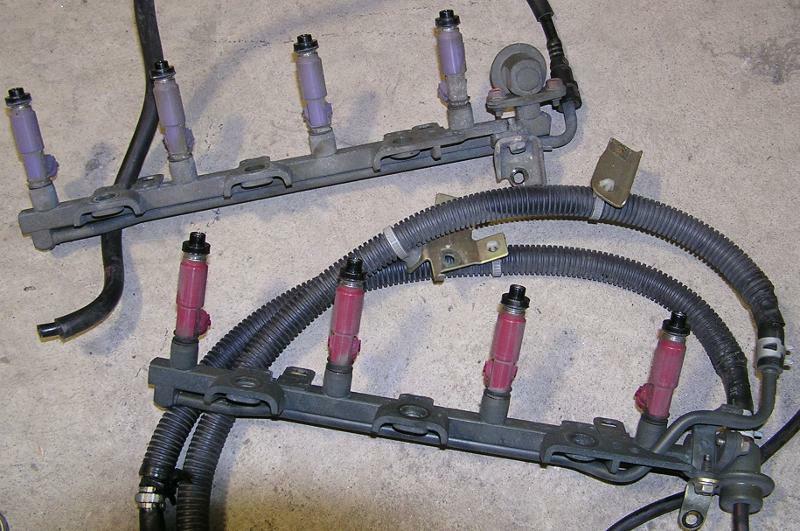 But when assembling leftovers (to know what parts goes where) the 01 rail did hit he 99 manifold, so the different manifolds can have unique fuel rails. When will Thunderfox start a build thread? Eh, the one with the red injectors is just like mine it seems! The FPR that Thunderfox posted is not a USDM part, as far as I know. The USDM 94-97 FPRs had the vacuum reference on the side, similar to the 90-93 cars but at a different angle that contacts the valve cover. 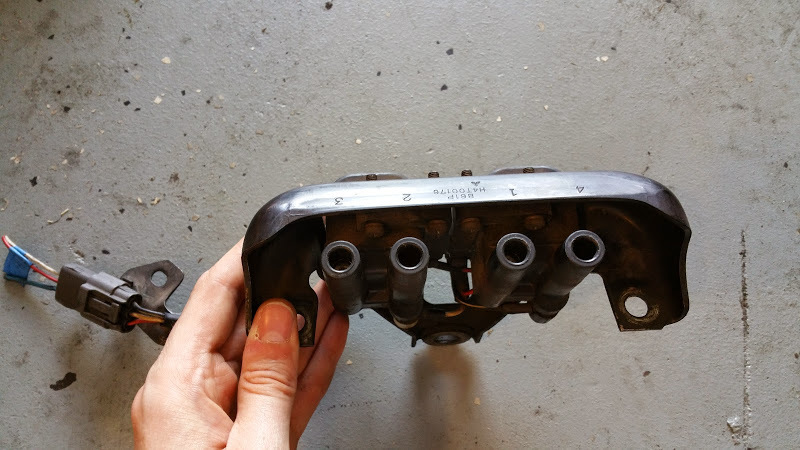 That FPR has a downward facing outlet (desirable) as well as a manifold reference that aims up, which is definitely not ever something we got in the US. It looks like a factory NB return system, which is exactly what you would want for a VVT swap car. It's still easier for US guys to source a 99-00 rail with a 90-93 FPR, vs. trying to find a 2-year Euro-only fuel rail and ship it over. I wonder if that rail and fpr have part numbers on them and if mazda comp can order them. However, my LC-2 is still acting fucky (grumblegrumble) and I think the wiring for the COP's is still backwards on the front page. I think someone else mentioned it in this thread, but mine would not start until I flipped them. The 01-05 coils have no provisions for a tachometer output. The AEM Series 1 (30-1710), AEM EMS-4 (30-6905), MSPNP2, MS3-Pro, and all 94+ MSPNP1s have a tachometer driver which will run the factory tach in lieu of the factory coils. For 90-93 MSPNP1 owners, you will need an aftermarket tachometer driver, which can either be added to your ECU or purchased and wired separately. See posts 44 and 62 for more details. I took this to mean I could just tape over the tacho wire in the factory cas plug. However, my tach doesn't work. What do I need to do to make it work? Last edited by Morello; 04-28-2015 at 07:27 PM. You mean the trigger wire colors for the 01-05? I'll have a mod change it (I can't edit the OP anymore). For the tacho, there's no tach wire in the factory CAS plug. 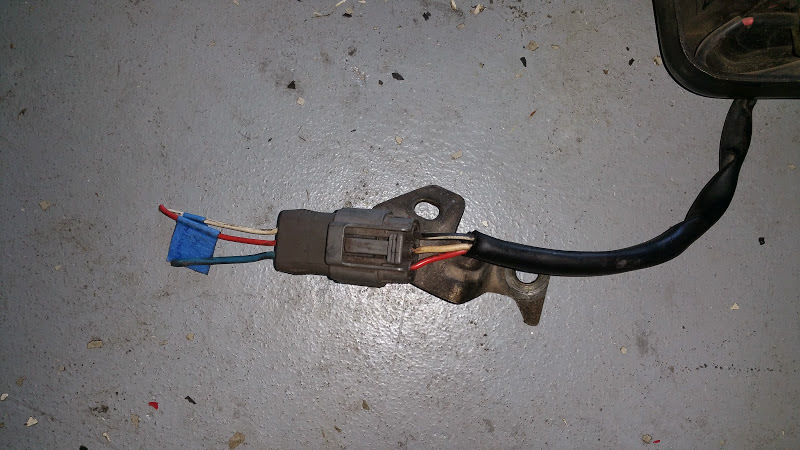 If you're on a 90-93, you just need to connect wires #4/5 together at the igniter and it will connect the tach straight to the ECU. On the 94-95 cars, the tach is already connected to the ECU directly. In either case, you may need to provide a 1k pullup resistor to the tach driver to bring everything alive - you can test that by jumpering between B+ and IG- in the diagnostic box before cutting into your harness to add the resistor permanently. Yes, one of the trigger wire colors is wrong (either on the 94-97 or 01-05, not sure which one). It would crank and crank but as soon as I switched the plugs it fired right up. Mine is a 95 - so a 1k resistor in B+ and IG- in the diagnostic box, or a straight wire jump? Did you wire in the tach output from the ECU? 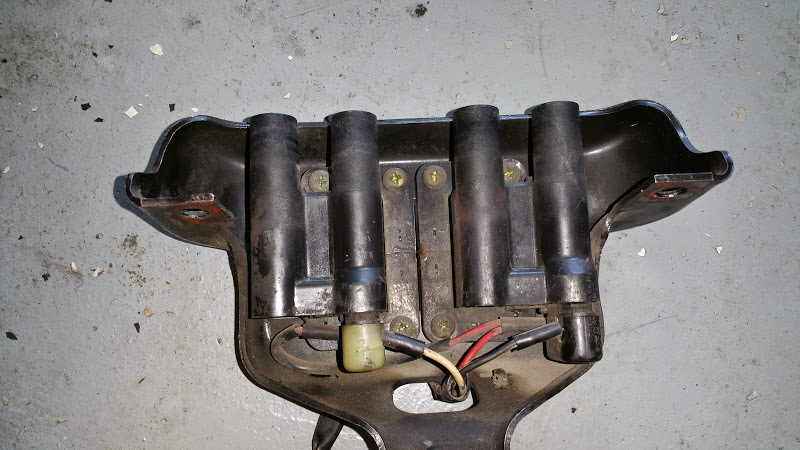 It's pin 10 on the db37, you will need to run it to the dash for the tachometer, or what I did, which is remove the tach pin from the ecu harness and connect it to pin 10 on the DB37. If you jumped the tach signal at the ignitor as specified in the OP, it should provide tach to the diagnostic connector and the dash. I have not tested it yet though. You guys have me all stirred up about the spark wiring. Which is also the opposite that is documented in the OP. I also found this on the COP thread, which would agree with the above assessment (and is actually how I am wiring mine up, I removed the white/red wire from the bundle, I am running Brown\Yellow directly to the 1\4 Trigger and the Brown directly to the 2/3 Trigger. I actually posted the wiring diagram for this back in post 5 but I worded it backwards, and so that must have made it into the op. If a moderator switches the labels for the 94-97 trigger wires, it will be correct. Rev said to route that wire over to the db37 pin 10 as well. I have to wonder though, if it's already on the ecu, why not can't it use the pin that's already there? Depending on which 95 you have (OBDI or II), it may not be routed to the factory connector inside the ECU. If Rev says wire it to pin 10, do that. Ok, I had Trey un-**** the 90-93 wire colors. I'll hand-verify the 01-05 wire colors later this week. Can someone verify that the 94-97 trigger colors are correct? That's the plan (in California right now for the tudor race). Just thought it'd be a nice feature for future versions - didn't realize that was changed with the switch to OBD2.